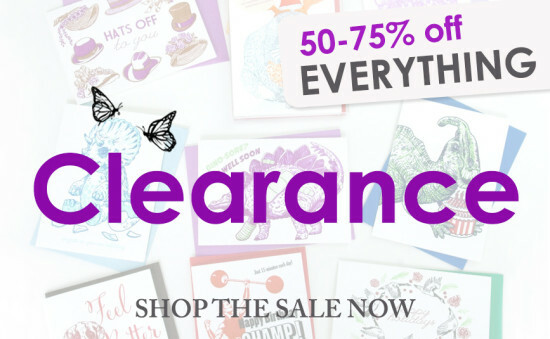 I’ve decided to close down Papillon Press and clear out my remaining inventory at low, low discounted prices…up to 75% off everything! It pains me to do it, knowing how much work goes into one single letterpress card, but there it is. Help me clear out space in my studio and replenish your card stashes for the coming year at the same time! Joel and I again want to thank those of you who supported us over the years by buying our products, coming to see us at craft fairs…and even just laying down $6 for one single card. You know who you are! Happy 2017! P.S. I’m keeping my equipment for personal use, so I won’t be selling any right now.